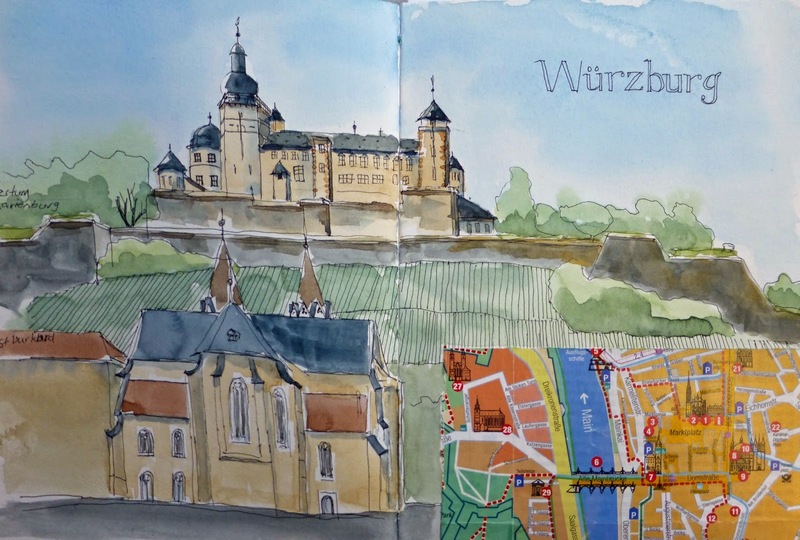 While the Zürich Sketchers were out enjoying the beautiful weather with their sketchbooks, I was enjoying Würzburg, hiking through the vineyards along the Main, and drinking too much wine! Beautiful city with an amazing view from the Festung Marienburg. 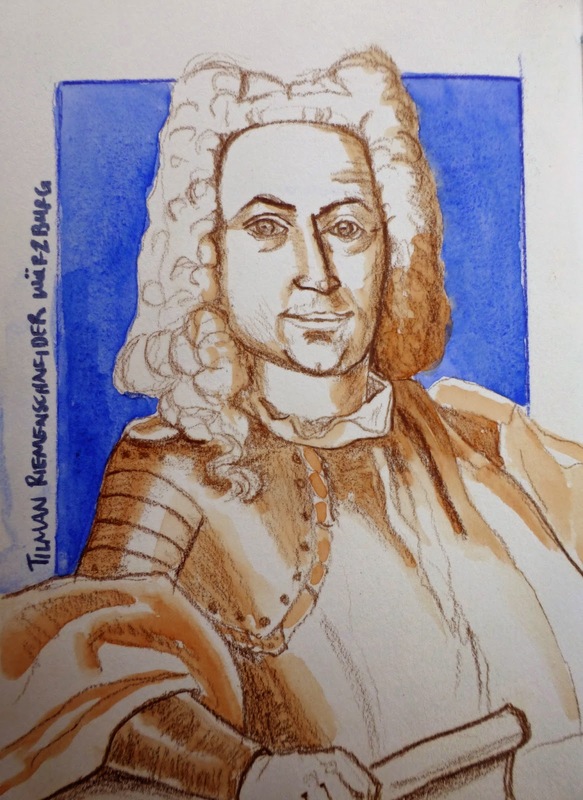 und sehr schönes Portrait von Tilman Riemenschneider!